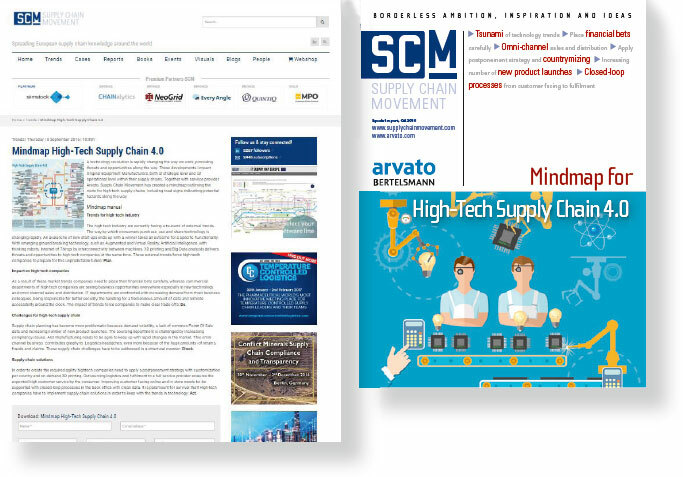 Whitepaper downloads can be made available through the www.supplychainmagazine.nl and www.supplychainmovement.com portals for lead generation purposes. Listed on the website for a 4-week period in the ‘Reports’ section. Contact details of leads, such as name, company name, job title, e-mail address and country, are collected and mailed to the customer as a list at the end of the agreed period. Since the end of 2013, Supply Chain Media has generated more than 18,000 leads.